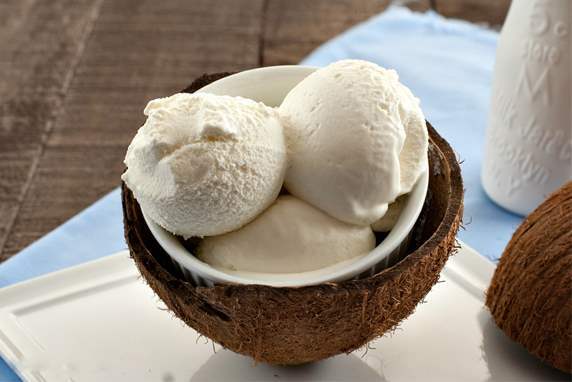 Coconut Ice Cream – Axelum Resources Corp. Beat the egg yolks and whole egg together until thick and lemon colored. Scald cream pour slowly over eggs beating constantly. Boil sugar and water for 5 minutes and pour into first mixture. Strain set aside. Place coconut milk in a bowl and pour boiling water over it. Press out the excess water. Mix with milk-egg-syrup mixture. Freeze and serve.